H.U. 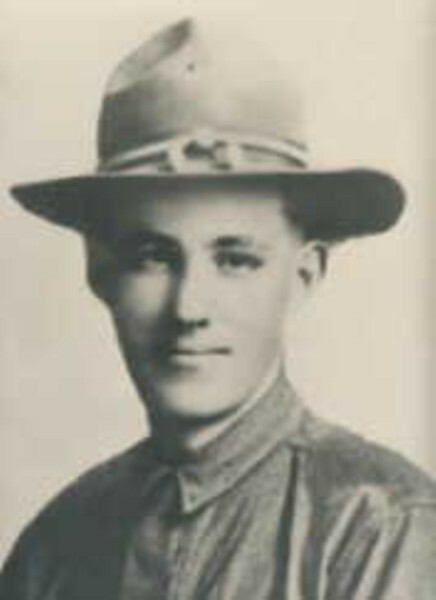 Wood Post 245, Seguin, Texas was named in honor of Army Private Horace Urban Wood, a highly patriotic young man, who was killed in action in France. Horace Urban 'Urb' Wood was born in Round Rock, Texas on December 4, 1894. His family moved to Cuero, Texas where his father published the Cuero Record. The Wood family moved to Seguin, Texas in 1904, where his father Horace Greely Wood purchased the Guadalupe Gazette newspaper. Urb was possessed of a bright mind and acquired a knowledge of the printing business while his father was publisher of The Gazette. In 1912, he left his brother, T. Vincent Wood to operate The Gazette, while he went to Dan Diego, California, where his parents had retired. After a couple of years, Urb returned to Seguin and became the editor of The Gazette in 1914 and held that position until 1917, when he entered the armed forces. Urb was accepted by the National Guard and was subsequently attached to Company M of the 141 Infantry Regiment, 36th Infantry Division. Following training in July 1918, Urb's Company M, along with the rest of the 36th sailed for France. A letter sent to newspapers offered this description, "Not of a belligerent disposition but with an intensive love of country, Urban Wood's patriotic zeal could not be calculated. He entered military life determined to do his bit in making the world a decent place in which to live. He did nobly--bravely, and now he has paid the supreme sacrifice."